Ministry of Foreign Affairs and diplomatic missions of Azerbaijan pay close attention to any action, being suspicious of Azerbaijan's territorial integrity within the internationally recognized borders. 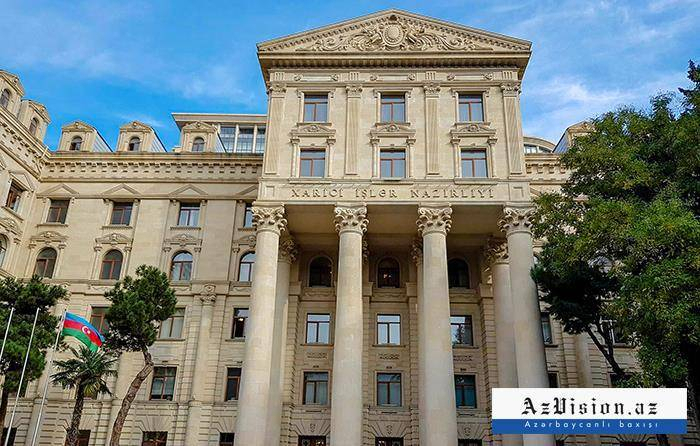 We always monitor such actions and take necessary measures to prevent them, AzVision.az reports citing the Ministry of Foreign Affairs of Azerbaijan. The Ministry of Foreign Affairs of Azerbaijan has created Twitter account 'Armenian Occupation Watch' regarding the above mentioned issue. The account shares facts and photos on illegal activities being carried out in the occupied Azerbaijani territories by legal and physical entities registered in various countries. The account calls to stop such actions by sharing information on violation of the sovereignty and territorial integrity of Azerbaijan, especially in the occupied Azerbaijani lands with direct and indirect illegal actions.